Windmilling in the 'rock room' this evening is an amazing audience recording hailing from the Who's second American tour in August of 1968. 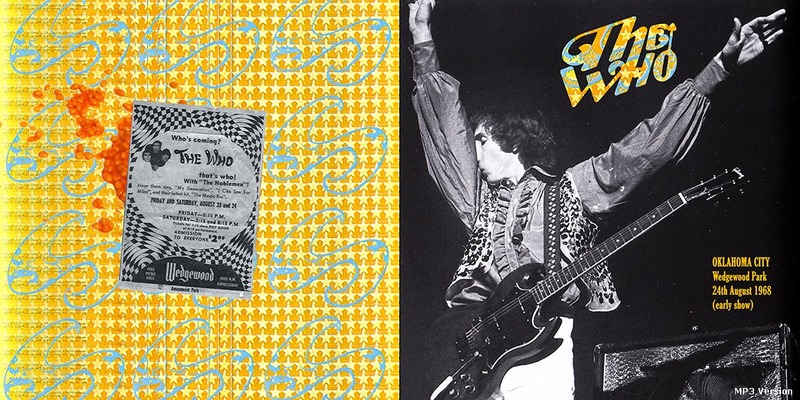 On August 24th the Who played an early and a late show at Wedgewood Amusement Park in Oklahoma City, Oklahoma. According to notes the band played on a grandstand in front of the main building and across from the 'Tornado' roller coaster. 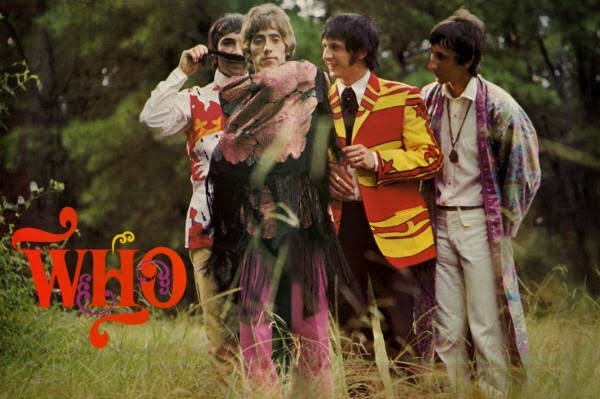 Audio documentation by Pete Townsend referring to the sun 'bearing down on their necks as well as beaming in the audience's eyes point to this recording as coming from the afternoon performance. The group's LP Magic Bus had just been released in July and the band toured in support of the record, with the schizophrenic visions of Tommy already visible on the horizon. This recording is biting and raw, an amazing capture for a tape made on somewhat still primitive recording devices. The personality of the individual instruments is sharp and in focus. The hallmarks of any forty plus year old tape in existence are slight anomalies and sonic reediness. But it the case of this recording, the capture is an absolute pleasure and makes one forget the few issues. Only thirty minutes exist of this tape, so I am certain it is only a partial recording. What is available is a crushing display of a band starting to discover what they were capable of as writers and stage performers. The master recording hails from a silver bootleg disc called 'Cry Blue Murder' and begins with the opening strains of the performance, as some tuning is captured before the band thrashes into the blinding opening lick of 'Substitute'. There is some muffling to the recording as the taper presumably adjusts his gear for optimal operating parameters, but this dissipates quickly. What is most striking about the sound quality is John Entwistle's elephant bass tone underpinning Townsend's violent guitar strikes, these features comes through on the tape as elastic and warm for the bass and as violent exposed power lines for the guitar respectively. The band pauses briefly before launching into the kinetic syncopation of 'I Can't Explain'. Shouts from the stage can be heard on the recording increasing the intensity. This tune is performed a proto-punk garage mod kick in this face. The brisk youthful energy as well as Moonie's over zealous kick drum comes through loud an clear on the tape, placing you center stage. (actually slightly toward the Ox's side) The music washes from the performers in charged electric waves invested with the ambient fairground afternoon from all those years ago. Daltrey growls over the collaborative falsetto backing vocals, a street tough hippie in training. There are some slight sonic issues on this track, but they are outweighed by the stellar performance. A short pause for Townshend to explain that the next song is one of the band's most requested numbers and then the band initiates the haunted and thumping opening to 'Boris the Spider'. Townshend's horror flick vibrato surf guitar shimmers across the thick bass lines of aural webbing strung across the doorways of the song by Entwistle. This rendition is truly demented containing shadowy vocals and laboratory experimentation with off mic chuckles. The song ends with a deep burp lending some more comedic relief to the intense performance of a fan favorite. In my opinion the highlight of the performance, as well as many early Who concerts follows next with the mini-opera, 'A Quick One, While He's Away'. This track is broken into many movements and is Townshend's first foray into composing a 'rock opera'. Reaching ten minutes this version flawlessly navigates all of the various segments of Townshend's tale of seduction. A precursor to Tommy, which is still on the horizon, 'A Quick One' is Pete's formative, yet successful attempt at the extended rock tale. The band romps hornily through a version very close in intensity to the Rolling Stones Rock and Roll Circus rendition still to be played in December. What makes this one so amazing is the ambiance and personality that translates from the tape. Raw and gritty, there is no processing on this bad boy. Entwistle is sneaky in his clattering helicopter lead bass lines, even slightly overshadowing Townshend's shimmering Stratocaster assault strikes. The 'Remedy' section of the movement is celebratory in its status. The closing 'We Are Forgiven' section is unwavering in its aggression and finds Townshend experimenting with distorted silver static readings of the melody lines. 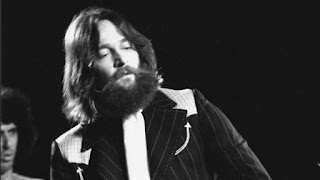 As the finale reaches its vigorous conclusion the bands overlapping three part harmonies peak with Entwistle's definitive falsetto statement bringing the band to a proper conclusion. After properly destroying the mountainside and surrounding communities, without a pause the band segues into the 'Johnny Kidd and the Pirates track, 'Shakin All Over'. While not as mature as the version to be featured on the future Live at Leeds record in 1970, this version slams doors and breaks windows of the garage it was born from. Daltrey struts with an attitude, a young punk on the prowl, honing his craft, soon to be a 'golden god' of the stage. This short but plentiful slice of primal 'Who' from 1968 belongs on a list of definitive tapes available of the band 'Pre-Tommy'. The priceless recording places you front row center for the fleeting but intense moments otherwise left to drift on the unattainable breezes of rock and roll history. The group is bursting at the seams and full of confidence while developing the stage craft that would make them one of the pillars of rock. 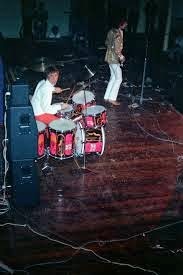 You can experience the feeling of discovery permeating the band as they deconstruct 'Magic Bus', or witness the elicited enthusiasm of Keith Moon's off mic shouts of joy prior to detonating a tune on the stage. For rock fans who are dependent on sound quality you will find issues with this recording. For Who fans and bootleg fans who want to get inside an evening of music that took place of forty years ago through sonic time travel- there are multiple gifts awaiting for you, all you have to do is listen.